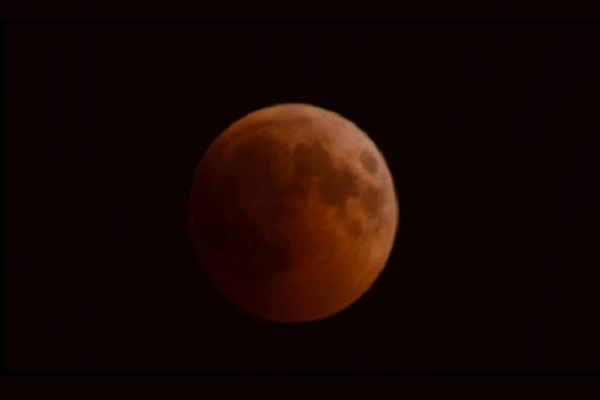 Bahrain yesterday (July 27) witnessed the brightest 'blood moon' along with the world, as the longest total lunar eclipse in the 21st century was recorded by sky gazers. Totality lasting approximately 103 minutes from 10.30pm the eclipse also featured satellite Mars, seen as a small yellow dot in the sky. The moon when it passes through the centre of the Earth’s shadow, it is the first central lunar eclipse since 2011 and the second total lunar eclipse in 2018 after the one in January. The astronomers and sky gazers in the GCC and across the globe watched the celestial spectacle, where the moon gots eclipsed by the earth’s shadow. The thrilling spectacle coincided with Mars' closest approach in 15 years today to offer sky watchers a stunning astronomical double bill. Viewers needed no protective eye gear to observe the spectacle - unlike when watching solar eclipse. On the same night and over the coming days, Mars will be at its closest point to Earth since 2003. The UAE marked the occasion with a series of functions across the country, including the capital Abu Dhabi, that featured lectures on eclipses and visible planets that can be seen at this time of year. Speaking to the Emirates News Agency (Wam) while attending a seminar organised by the International Astronomical Centre on the Abu Dhabi Corniche, Dr Mohammed Al Ahbabi, the director-general of UAE Space Agency, said that the agency, by participating in such events, seeks to promote public awareness of such astronomical phenomena.